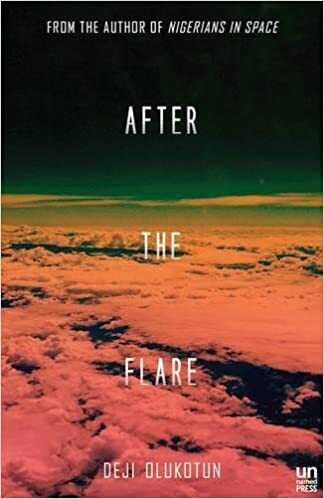 Last completed book of 2017 AFTER THE FLARE by Deji Bryce Olukotun is a tense, eerie and beautifully written entertainment set in a Nigeria that becomes the seat of a new space programme, and a desperate rescue mission into Earth orbit, after a solar flare torches much of the world’s electrical infrastructure. Local intrigue, Boko Haram and deep history all vie to doom the rescue, end the future and kill dreams. Olukotun is excellent with detail and atmosphere and keeping the engine ticking over. It’s accessible, moves at a clip, is wonderfully immersive and generally a lot of fun when it isn’t being bone-chillingly sad. On the whole, though, it was a future-facing and optimistic way to end the year, and I think you’d enjoy it. Posted on January 4, 2018 January 3, 2018 by Warren Ellis	Bookmark the permalink.